Add a delicate touch to any outfit with this chic strand of pearls. 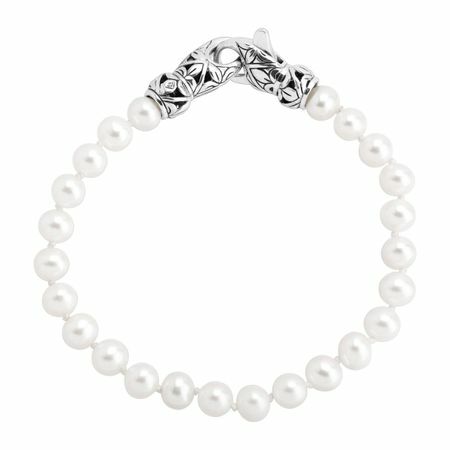 6-6.5 mm freshwater pearls are strung along a quality sterling silver chain for an essential combination of style and ease. This piece is part of our Balinese Collection, inspired by the beauty of Southeast Asia and handmade in Bali using ancient silversmith techniques. Bracelet measures 7 inches long, plus a 1-inch extender for adjustable length, and features a lobster clasp. Piece comes with a ".925" sterling silver stamp as a symbol of guaranteed product quality.